Two plays earlier, Aaron Rodgers looked mortal — he didn’t see a blitzing Jeff Heath, and the Cowboys safety hit him from behind so hard that it’s a minor miracle the ball wasn’t jarred loose. The play after that, Jared Cook dropped a pass on a drag route, his third drop of the game. But with 12 seconds remaining in the fourth quarter, on a third-and-20 play from their own 32-yard line in a game tied at 31, the two combined for one of the most memorable plays in recent NFL playoff history. Against a three-man rush, Rodgers rolled out to his left, and let the ball drop down by his hip as he hopped in anticipation of a silver-bullet throw. And what a throw it was. Rodgers unleashed a 38-yard frozen rope to the left sideline, and Cook, somehow, someway, was able to get down to catch it, and dragging his feet across the turf at AT&T Stadium before falling out of bounds, stopping the clock. 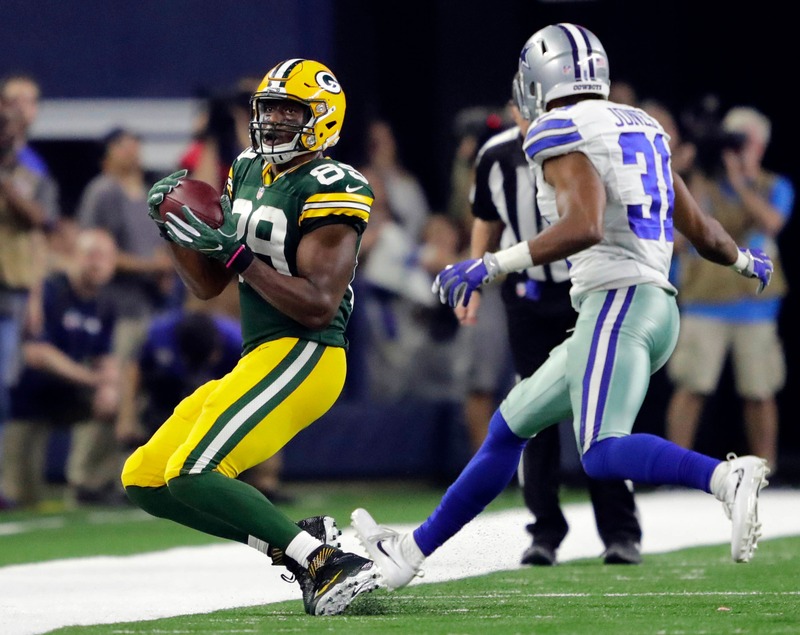 With three seconds remaining, Mason Crosby made a 51-yard field goal — and then made it again when the first one was wiped away by a Cowboys timeout — and the Packers were in the NFC Championship Game, one win away from Super Bowl LI. All due credit to Cook and Crosby, it’s all about the throw — it summed up Rodgers’ greatness in nine swashbuckling, devil-may-care seconds. 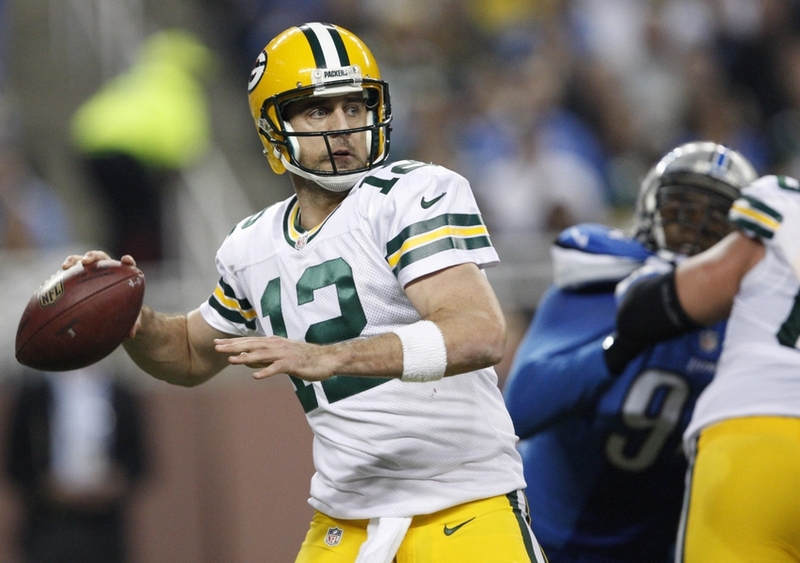 Rodgers is not some aimless gunslinger — though he might come across as that at times. He’s coldhearted and calculated. 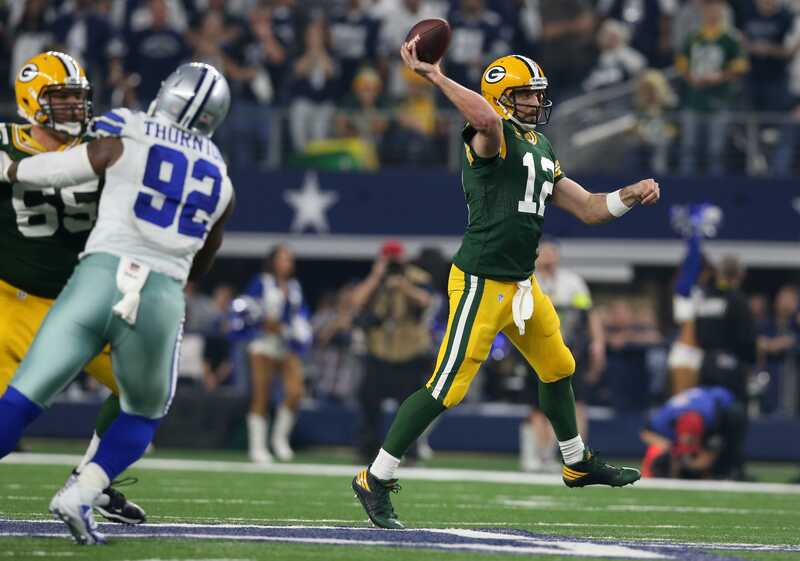 The Packers’ early lead in Sunday’s game was just as much Rodgers goading the Cowboys into mistakes as it was him pouring salt in the Cowboys’ self-inflicted wounds. 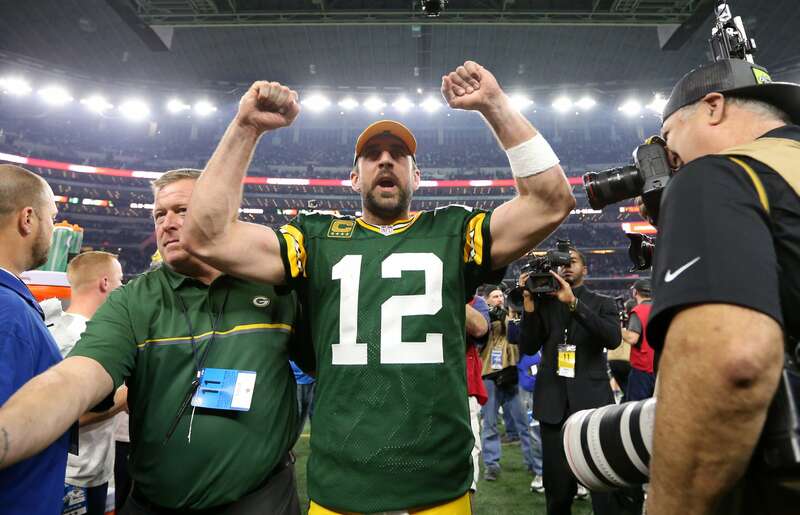 But when the tide shifted and the contest was no longer in the Packers’ control, Rodgers again proved that he’s the best improvisational quarterback the NFL has seen since Brett Favre (where he stacks up against the all-time great is another conversation for another day). Sunday’s throw will go on Rodgers’ Hall of Fame highlight reel. And yet it’s still amazing every time we see it. There were the three successful Hail Marys in the span of 13 months, the throw that set up one of them, and countless “how’d he do that?” tosses. Throws like Sunday’s — the kind that you could imagine few other quarterbacks making, much less completing (thanks, Jared) — have seemingly become the norm for Rodgers. And it’s those kinds of throws that help remind us what a great quarterback looks like in the NFL. 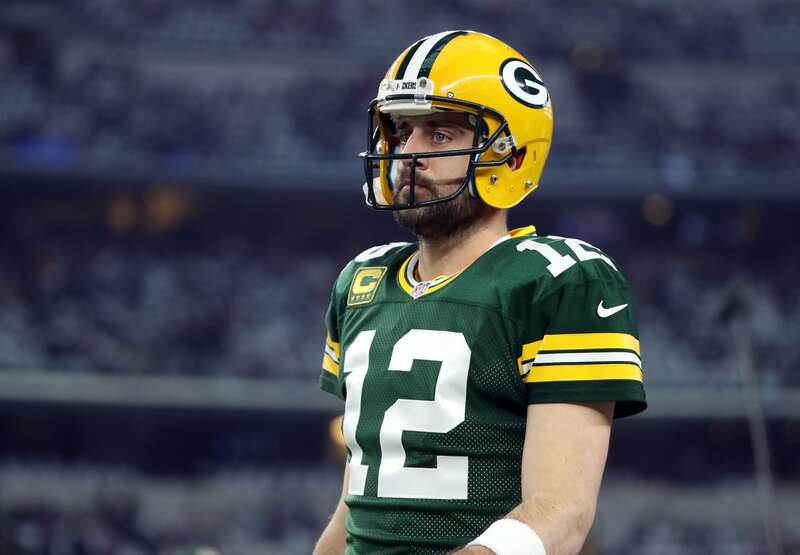 Rodgers is by no means the only great quarterback in the league, but in a time when quarterback play has arguably never been better, the Packers’ signal-caller continues to evolve and progress to levels previously unforeseen. He was already a no-doubt, surefire Hall of Famer but at 33 years old, he’s playing the best football of his career, and he’s doing it with what is arguably the worst supporting cast of his career. No excuses, no self-pity — Rodgers has made it happen this year. Even when the team was 4-6 and it looked like the end was nigh for the team’s core unless they “ran the table”. Even when they fell behind to a bad Bears team on the road and needed something resembling a miracle to win that contest. Even when he was getting flummoxed by one of the NFL’s best defenses at home and then had his top receiver get knocked out of the contest. Even when his team had coughed up a sizable early lead to the NFC’s top seed and needed to go at least 50 yards in 32 seconds. Call them miracles if you want, the result is the same: He made it happen. And he did it with his brain, feet, arm, and boundless confidence. It takes all of those things and more to be great, and no one exemplified that better than Rodgers during this incredible stretch of play. No matter what happens in the NFC Championship Game or Super Bowl, Rodgers’ season — specifically his incendiary nine-game run that will continue to next Sunday — will be one to be remembered, and one can only hope for the sake of the league that NFL general managers and chief personnel keep it fresh in their memories this spring. On Saturday, we saw one of the worst quarterback performances in modern playoff history — Brock Osweiler’s three-interception performance against the Patriots and another all-time great, Tom Brady. Last offseason, Osweiler, who backed up Peyton Manning in Denver in 2015, signed a $72 million deal with the Texans, who correctly believed that a great quarterback was the only thing holding them back from Super Bowl contention. But greatness is not so easily found and it’s almost never bought. If you’re a team that has a great quarterback — a truly great quarterback — you’re made. And true greatness is something that can’t be misinterpreted. The Packers certainly have that great quarterback on their team — one of the greatest of all time — and because of that no matter how dire the circumstances, no matter how poorly his defensive counterparts are playing, and no matter who is around him, Green Bay always has a chance.